Acupuncture for spinal stenosis is one of my personal favorite pain management techniques, since it allows patients to avoid the considerable risks associated with pharmaceutical therapy. Most doctors prescribe drugs like they are going out of style: “Take all these pills and call me in a few months”. This is the usual advice provided to people who want solutions for pain, not simply ways to manage it. Well, short of surgery, there are few, if any, conservative approaches to spinal stenosis treatment which offer even the most remote possibility for a cure to occur. Acupuncture is unfortunately not one of these promising modalities. However, all is not so bleak when it comes to using acupuncture for treating spinal or neuroforaminal stenosis. In fact, as symptomatic care methods go, acupuncture is one of the overall best. This dialog explores the constructive use of acupuncture for stenosis pain management. Acupuncture is one of the many care approaches which originated as part of Traditional Chinese Medicine (TCM). This is a system of healthcare which is both self-contained and complementary to virtually all other types of treatment for an expansive range of health conditions. Acupuncture is theorized to work by balancing the body’s natural energy system. Life energy, called chi/qi, is contained throughout all living organisms. Much of this chi energy travels pathways in the anatomy called meridians. Crucial points exist along these pathways called acupuncture points or pressure points. By inserting ultra-fine needles into these points and meridians, energy can be increased, decreased or redirected, influencing the overall health and functionality of the patient. This may all sound very strange to western medical practitioners, and many patients, but the results have been proven to work. In fact, acupuncture enjoys very high satisfaction ratings as a pain management modality, regardless of the diagnosed cause of symptoms. Doctors of TCM and dedicated acupuncturists are experts in diagnosing problematic energy level imbalances in the body. These care providers will examine the patient, but also interview them extensively to fully understand the symptoms and locations for pain. Once an evaluation has been completed, treatment can actually begin in earnest. The use of needles, and possibly electricity, helps to change the internal energy system with continuing treatment. Very rarely are drastic effects enjoyed from one treatment alone. Instead, multiple treatments will make positive changes over time. Once efficacy is established, patients can typically enjoy ongoing reduction in suffering without the significant decrease in benefits so common to many other healing arts and sciences. Being that acupuncture has basically no inherent risks, when performed properly, this makes treatment a great long-term solution to managing symptoms for many stenosis patients. So, acupuncture is not a cure. It is, however, a great way to buy time when considering other methods of care. Acupuncture is non-pharmaceutical, making it a natural winner in my book. Of course, the skill of any given provider varies greatly, so it may be best to shop around for a truly talented acupuncturist before writing off the art due to previous bad results, if applicable. 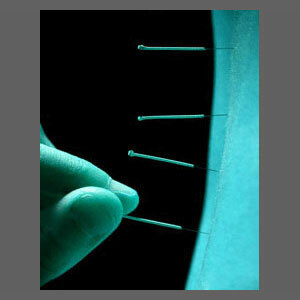 Many patients fear needles and therefore avoid acupuncture without ever trying it. I can understand the fear, but you must know that the needles used are so incredibly fine that most patients feel no pain whatsoever. When pain does occur, it is tiny and momentary. This type of needling is nothing at all like getting an hypodermic injection from a traditional doctor. So, to wrap it all up: Acupuncture might be great as a symptomatic care method for patients who are wise enough to know the truth about the dangers of the various spinal stenosis drugs. 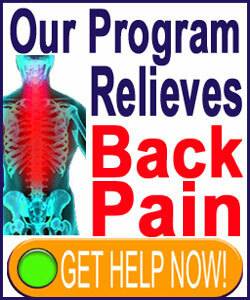 The main downside to treatment can be the cost, since quality acupuncturists are not cheap. If your health insurance covers treatment, you are lucky. If not, then you will join the millions who pay out of pocket and suffer financially, as well as physically, from their spinal stenosis. Too bad so many health plans will cover deadly drugs, but will not cover healthy alternative therapies like chiropractic, acupuncture or massage.